An online Variety poll this week asked respondents to say who is right in the SAG-AFTRA battle. The poll is unscientific, far from an accurate bellwether of industry sentiment, but it's worth noting nonetheless: Eighteen percent of the 310 voters picked SAG; 16 percent chose "they're both ridiculous," and 10 percent picked AFTRA. AFTRA can't feel good about finishing behind "they're both ridiculous," but it's important to note that 82 percent are saying, "Whoever is right, it's not SAG." Moreover, the clear winner, in a landslide with 53 percent of the vote, was this choice: "the side that keeps us from a strike." Seeing as how the entire Doug Allen-Alan Rosenberg-Membership First strategy has been centered on a strike threat, and seeing that the entire AFTRA strategy has been to get the best deal it can without a work stoppage, the clear sentiment from this poll is that this fight is over. In that instance, the poll may be an accurate bellwether, because every other sign outside of the SAG Hollywood board room points in that direction. Sam Freed, SAG's 2nd national vice president and president of the New York board, has condemned SAG Hollywood's anti-AFTRA campaign, as has every member of the New York board. Last night, a joint meeting of SAG and AFTRA members in Chicago resulted in the passage of a resolution that condemns the campaign as well. Late yesterday, the AMPTP broke its silence and said talks for a new TV/film deal were dead in the water because of SAG Hollywood. And despite the show of strength it received from writers at its SAG rally on Monday, SAG Hollywood is isolated, particularly when it comes to the guild's campaign against the federation. Patric Verrone and David Young, president and national executive director of WGA West, seemed to be careful to express pro-SAG support, not anti-AFTRA sentiment. 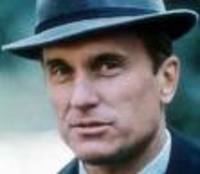 Since no neutral observers seem willing to do so, I feel the need to play the role of Tom Hagen to SAG's Vito Corleone, and tell the guild "what everyone else seems to know": This war stops now. Make all the inquiries you want, but while you're at it, make the best deal you can, so people can get back to work. You cannot win. You will not get a strike authorization vote. You will not defeat AFTRA's deal. You will not get radically better terms than any of the other unions got. Then again, that analogy doesn't quite work, because in The Godfather, Vito was the one who "insists on hearing bad news immediately" (as Hagen put it to Jack Woltz, the Hollywood studio chief), and it was Vito who stopped the war. One gets the feeling that no one in the SAG offices or boardroom at 5757 Wilshire ever wants to hear bad news; worse, it never wants to hear a contrarian thought from anyone, at any time. And that's why SAG finds itself in the mess that it's in: backed into a corner with no outside support, forced to swallow a deal it purportedly hates. Guild leaders seemed to forget--actually, it chose to forget--that though AFTRA is a flawed partner, it is a partner nonetheless. The AMPTP is its adversary. 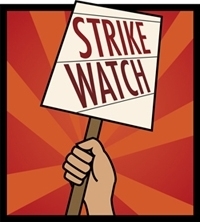 Jonathan Handel and Stephen Diamond, attorneys with significant knowledge and experience with labor and technology issues, have told Strike Watch repeatedly that if SAG wanted to be the muscle in Hollywood, it needed to build deep-seated alliances with AFTRA and the WGA, starting a year and a half ago. Despite its partnership with the writers, SAG is warring with AFTRA--a war, by the way, that didn't begin last Friday at the National Executive Committee meeting, when it barely mustered a majority to launch its "educational initiative." It started in January 2007, when Doug Allen became the guild's national executive director--or, if you prefer, its wartime consigliere. Make no mistake, it was then that SAG went to the mattresses, beating the drum about undercutting in basic cable, pushing for bloc voting, and trying to change unilaterally Phase One, its longtime joint bargaining agreement with AFTRA. One gets the feeling that the longer this war continues, the guild won't be satisfied until it kills the heads of the five families--or six, if you're talking about Sony, Paramount, Disney, Time Warner, Fox, and NBC/Universal. It won't be happy until it kills Moe Greene, a part played in this violent, twisted, and altogether unfortunate analogy by AFTRA, a onetime money-loser just trying to scrape out a decent living in the desert, where it was banished after the two unions' last failed merger attempt in 2003. And, please remember, the forebears of Membership First were the ones who defeated the merger initiative, and that's what led to the competition in basic cable, what led to this stupid, senseless, self-destructive, petty war, and what ultimately led to the suspension of Phase One (a bad move that AFTRA ultimately bears a lot of responsibility for; more on that later). Rosenberg, Allen, and Membership First deserve grudging respect for their verve, spirit, and willingness to fight for actors. They honestly and articulately push for what they believe is right. But they are so blinded by their righteous anger at AFTRA that they refuse to see that their best hope to achieve most of what they wanted lay with their sister union, that both needed to be in the same room, at the same time, and on the same side. Moreover, Rosenberg, Allen, and Membership First have suffered because they continually fail to recognize a basic precept of economics: Whenever you introduce competition into the marketplace for a specific good or service, the price of that good or service always drops. In this case, the service is acting and the price for it are wages and working conditions. This is an incontrovertible, unassailable, and unavoidable law, and no amount of fist-pounding, foot-stomping, foaming-at-the-mouth tirades against your would-be competitors will change it. To argue otherwise is the height of insanity, and this is where the insane always end up: alone. AFTRA didn't help matters by giving in to pique at last-minute allegations--substantial but ultimately unprovable--that SAG tried to raid its jurisdiction for The Bold and the Beautiful. Even if the charges were true, why would they put their focus on that, instead of the landmark contract negotiations at hand? Why get into a spat over a form of entertainment whose best days are behind it? (Even if soap operas still have a future, it will be in new media, the raison d'etre for all the fuss this year.) One could make the case--as Roberta Reardon, Holter Graham, and other leaders of AFTRA have--that this was but the last straw in a series of bellicose actions by SAG; trust was broken at last, and AFTRA had to go forward alone. For the immediate future, SAG has to stop its senseless war against the AFTRA contract and concentrate on getting its own deal. Beyond that, AFTRA and SAG have to mend fences because they have another important contract coming due at the end of October: commercials. If they don't, the two will negotiate their deals separately again, and the price of labor will continue to drop, which is as stupid as it is sad, given all of the work that is out there to be had. Beyond that, the two have to merge. The problems with the pension and health funds are not insignificant, but are they really insurmountable? To insist they are, to come up with one excuse after another for why merger cannot work is a failure of leadership, as Back Stage argued in an editorial not so long ago. The leaders of both sides have to work this out. Why? Because their members deserve it. If SAG and AFTRA don't, then the members need to rise up and vote in leaders who can look past the horizons of their own self-interests, who can see the greater good and do the right thing. With respect, please turn the telescope around look through the eyepiece. The broader issue here is the long-term viability of the labor movement in Hollywood. Not just SAG, not just AFTRA, not even just the other above-the-line guilds. The labor movement. Where you see Doug Allen immediately "going to the mattresses" as if SAG wanted a war, I see (and I daresay many other actors see) a clear and present danger to the bedrock foundations of unionism in the entertainment industry. New Media is where the moguls are already migrating. The technology is already developed; the industry is now a couple of years into the process. The moguls want to wrap up these final deals so they can quit obfuscating and get on with the process of shifting tens of billions of dollars' worth of distribution to the Internet, which means tens of billions LESS to broadcast, cable and pay television. The moguls are playing for keeps with this year's labor deals. While advocates of the proposed AFTRA deal cling to the sunset clause, the AMPTP crows about "the industry's now well-established new media framework". Those are not the words of an organization concerned about sunset clauses, those are the words of an organization that fully intends to keep whatever it gets in New Media. History is on the side of this view, as the DVD issue clearly shows. In agreeing that signatories may hire non-union principal casts, the AFTRA deal violates the most basic of union tenets. Andrew, you would apparently have SAG do the same. Not only is this egregious on its face, not only does this represent literally thousands of missed opportunities over the next three years for actors to do what they love, advance their careers, and (under the terms of the SAG New Media contracts) share in the rewards should the projects turn a profit, but it gives the employers a wedge in to make more principal work non-union going forward. SAG officials have already learned from their employers that they most certainly plan to exploit the New Media exemption far and wide. It's not just back-door pilots, it's a LOT of interstitial-length pieces destined for the Internet and mobile devices. The moguls would not have fought for this provision had they not already known exactly how they plan to fully exploit it. A friend wisely noted an old Arab proverb: Never let a camel's nose in the tent. Even were I grant that a significant number of SAG members do not feel the New Media exemption by itself is a big enough issue to strike over (and I'm not granting this; I'm only using this rhetorically for the sake of argument), SAG can and will strike if the AMPTP puts the actors' backs to the wall over the combined issues of New Media, clip use, and force majeure. I want to be clear about this. Because the AMPTP is ripping at the core principles, the bedrock foundation of unionism, because they're ripping at the protections that constitute the raison d'etre for the union to exist in the first place, it's up to the moguls at this point. Bob Iger, Jeff Zucker, and their counterparts at the other major studios and networks will make the determination whether SAG strikes. So, will there be a strike? If the moguls think the actors don't have the intestinal fortitude to engage in a labor action to save their union from annihilation, then I would have to say, yes, the moguls will force a strike. If OTOH they perceive the actors standing firm on fundamental issues, they will make a deal. It's that simple. The "war" will end, and there will be a deal, when the moguls decide to respect the core values of the labor upon which they rely. Andrew stick to reporting and not analogizing or offering opinions. The only mafiosi types here are in the AMPTP not in SAG or AFTRA. Are you a screenwriter, a director, a union actor? Do you work in the entertainment industry in any capacity besides writing for Backstage? I'm sorry, but I fail to see the validity of your opinion in these matters compared to the hundreds of thousands of all of the above who have spent their lives pursuing, succeeding, failing, inspiring and suffering in this business and only ask to earn a living wage. Probably not really your place to order SAG to do anything one way or the other. Memo to Andrew: the rank and file are not interested in your opinions. Your analysis is interesting, but, in the end, far too AFTRA like to pass muster with the loons in MeFirst/SAG Hollywood. Don't be dismayed by the ranters - they don't care, and though they count, they don't count for too much. With any luck this insanity will lead SAG voters to throw the MeFirst bums out this summer. Because, you're right, come commercials time the JPC isn't going to take it as easy as the AMPTP has. If we're still divided come that negotiation, we're screwed. With all due respect to Mr. Salomon how is SAG (or AFTRA for that matter) supposed to negotiate a genuine deal with the AMPTP, a front organization for the media conglomerates whose job now just as it was in the WGA negotiations is to stall, delay and put off making a legitimate deal (along with deals for the DGA and the two actors unions) that according to Bear Stearns analysts would have cost all the conglomerates less than 1% of their profits? The WGA made a Herculean go of trying to negotiate fairly and in good faith, was forced into striking by the AMPTP and ‘achieved’ the prevention of some 70+ proposed rollbacks plus a tiny foothold in new media. Where are AFTRA’s gains on the WGA’s deal, especially the gains they should have been given for being so ‘reasonable’ and ‘accommodating’ of the AMPTP’s positions? Quite simply they failed to get them and have left the ‘heavy lifting’ or the ‘bad cop’ role if you like, to SAG. The DGA and AFTRA have both punted on this task of making new media ventures in conjunction with the majors a viable proposition for their members at this most critical juncture. While the field of new media is currently small, anyone with the wherewithall to be assertive (such as the leaderships of the WGA and SAG) now can gain the once in a lifetime first mover advantage that given the breakneck speed with which the online world moves will be long gone by the time entertainment union contracts are up for negotiation again in 2011. While the DGA was able to negotiate numerous most favored nations clauses stemming the tide on conglomerate rollbacks and winning most of the gains the WGA achieved, the AFTRA deal contains one favored nations clause pertaining to not rolling back the collectively negotiated force majeure provisions that while vital to old media and new media, could hardly be called a ‘gain’ if SAG is able to prevent this rollback. For someone who is supposedly ‘pro-actor’ and whose salary comes from Nielsen Business Media, Mr Salomon doesn’t propose very realistic solutions for actors. The AFL CIO in Washington DC brokered an uneasy peace between the two actors unions back in February which would have had SAG and AFTRA negotiating together with the AMPTP *but for AFTRA’s leadership walking out on that compact literally at the eleventh hour*. According to my sources the AFL-CIO is once again trying to broker some actor union peace accord once again, but since the past is prologue, I wouldn’t bet on a reunification before June 30th. And I can’t explain Mr Salomon’s apparent ignorance or lack of consideration of how all that happened in the WGA has become the template for the actors negotiations. Is that laziness on his part or a lack of funds from his employer Nielsen Business Media to properly cover this story or is it the business relationship between NBM and the conglomerates that discourages real reporting for fear of NBM losing conglomerate advertising revenue. With all due respect, neither the writers nor the actors can afford to wait and see for three years where exactly new media is going to go…the conglomerates have already been quietly moving content there with ventures like Hulu (touted by NBU-Universal and Fox as their ‘YouTube killer’) and doing everything they can to bring their stable of advertisers along to monetize these new ventures… articles like this one about ABC urging advertisers to sponsor online content and offering makegoods there(http://www.webpronews.com/topnews/2008/06/16/abc-pointing-some-tv-advertisers-online) or this one (http://www.webpronews.com/topnews/2008/06/16/report-online-video-to-drive-ip-traffic-growth) pointing out how online video is going to comprise 90% of all online traffic by 2012 says that for actors to be respected partners in new media (and not the serfs they currently are old media’s fiefdoms), for the talent and the conglomerates ‘it’s now or never’ to get a livable deal if they want to keep working together. From everything I am seeing though, the conglomerates once again are demonstrating that they don’t want to succeed in the online world, probably because they still don’t understand it (you would have thought that the film and TV divisions of the conglomerates would have learned from the music divisions's debacles in new media in the 1990s but apparently they haven’t) because they have put off becoming a part of the culture here for as long as possible and only now have the faintest inkling that vast sums of money might be made here. Frankly none of the conglomerates are necessary to the world having a supply of content for new media…all you need is above and below the line talent to produce it, advertisers and/or investers to finance it and audiences of fans and viewers to consume the content or the goods and services advertised by it. If all of these parties get together, the conglomerates can be cut out or disintermediated. lee Iacocca once said of business that you either ‘lead, follow or get out of the way’. The members of the AMPTP by their failure to lead in setting fair compensation deals in new media without causing labor turmoil have already fumbled at transferring the commanding lead they have in old media to new media. Should the conglomerates behind the AMPTP keep up the intransigence, they are not likely to end up chasing new media business, but instead as roadkill on the fast track to the future of the entertainment business. That would be unfortunate for the conglomerates (and their shareholders), but they won’t be missed by the audience and the consumers, who are quite certain that advertisers and shareholders will go where we go. The talent producing that content once it realizes like SAG and the WGA’s leadership that there is another way to make entertainment will pursue those options zealously. It is therefore up to those moguls hiding behind the AMPTP to either make reasonable deals now or prepare to be ‘disintermediated’. I'm confused. You say you are addressing me with respect, then launch into personal attacks wherein you insinuate I am either a bum or a whore. At the least, I wish you'd make up your mind, so I would know how to dress for dinner. "If all of these parties get together, the conglomerates can be cut out or disintermediated." My point Friday was exactly that: Competition between two unions for the same jurisdiction inevitably leads to lower salaries. SAG and AFTRA need to stop fighting and they should merge, because until they do, their already limited power becomes more so when going up against a legal cartel such as the AMPTP. SAG and AFTRA have each contributed--though not necessarily equally--to an atmosphere of megalomaniacal, self-aggrandizing, self-absorbed behavior that tries to pass itself off as union leadership in Hollywood. Therapists call this "non-adaptive behavior." I call it suicide. Further, the political culture at the top of each union is insular and hidebound and has shown an increasing disability when it comes to listening. The AFL-CIO has also been a joke when it comes to leadership, because no one there seems to have the sense of urgency nor the visual acuity to see how important these negotiations are. If they did, they would have brokered a deal that everyone can live with. The failure of the AFL-CIO, SAG, and AFTRA in this regard is a failure of imagination and a testament to the participants' massive egos, not one of which has resulted in a solution to the grave issues they face. If a lazy whore such as I could see two years ago that the only way for actors to get what they want during this watershed year of negotiations is for the two main performers' unions to have a unanimity of purpose, then certainly PEOPLE WHO WORK ON LABOR ISSUES EVERY DAY should be able to recognize that, too, and direct their actions in a likewise manner. They have not done so. What is the intention of the performers' unions? To get the best deal possible for their members. If these two unions work separately, does that move them CLOSER to achieving their objective, or does it move them FURTHER away from it? The answer should obvious, especially to an actor. As I and others at Back Stage have stated many times over: Merger is imperfect but perfectly necessary. Whatever the impediments are, they need to be resolved so that actors can stop competing against each other and instead increase their compensation, rather than have it decreased through petty, selfish, stupid, political and altogether unproductive food fights that expose the participants as the arrested adolescents they are. P.S. : When I write something, I sign my name to it. You might consider doing the same.